Author: Metalious, Grace Set In . . . Description: When Grace Metalious's debut novel about the dark underside of a small, respectable New England town was published in 1956, it quickly soared to the top of the bestseller lists. 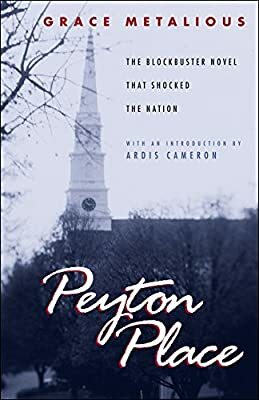 A landmark in twentieth-century American popular culture, Peyton Place spawned a successful feature film and a long-running television series—the first prime-time soap opera.Contemporary readers of Peyton Place will be captivated by its vivid characters, earthy prose, and shocking incidents. Through her riveting, uninhibited narrative, Metalious skillfully exposes the intricate social anatomy of a small community, examining the lives of its people—their passions and vices, their ambitions and defeats, their passivity or violence, their secret hopes and kindnesses, their cohesiveness and rigidity, their struggles, and often their courage.This new paperback edition of Peyton Place features an insightful introduction by Ardis Cameron that thoroughly examines the novel's treatment of class, gender, race, ethnicity, and power, and considers the book's influential place in American and New England literary history.